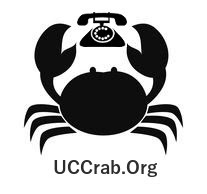 UCCrab Blog: Skype for Business - Hey, Where Did my Response Groups Go?!? Skype for Business - Hey, Where Did my Response Groups Go?!? Now, for its next trick, Skype for Business will make Response Groups in the Control Panel magically disappear! I had the client run several commands to verify the Response Groups were still seen via PowerShell. 'Get-CsRGSWorkflow' and 'Get-CsRGSQueue' both returned all workflows and queues that had been created. At this point, the only other thing I could think of that may prevent him from seeing the Response Groups was his permissions. I asked to see which RBAC groups he was in and I noticed he was in both the 'CsReponseGroupAdministrator' and 'CsResponseGroupManager' groups. The 'admin' group manages all the Response Groups for a site, while the 'manager' groups allows for management of specific response groups (Technet Article). Was it possible that somehow the 'manager' group was overwriting the permissions for the 'admin' group? As it turns out, yes, that appears to have been what happened. A search via Google produced a blog post outlining the exact same problem in Lync 2013. I had the user remove his account from the 'manager' group and leave himself in the 'admin' group. A quick sign out/sign in forced the group change and he was able to see his Response Groups in the Control Panel again. Polycom CX/VVX Phones - Why did my Transfer Fail?